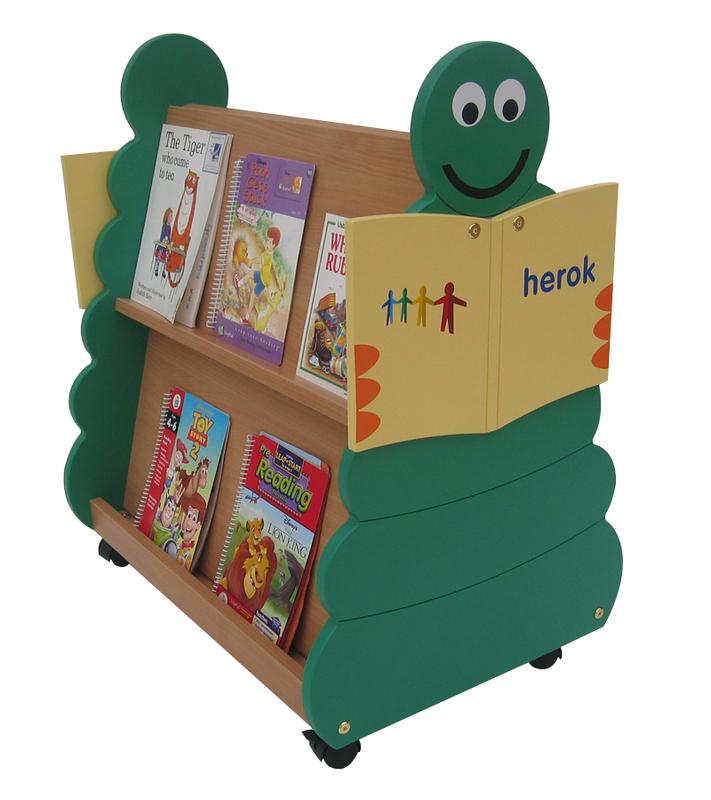 Bug shaped double sided small mobile display unit which is ideal for nursery, pre-school or reception classrooms and libraries. Constructed from 18/19mm high quality melamine faced particleboard with PVC edges all round. 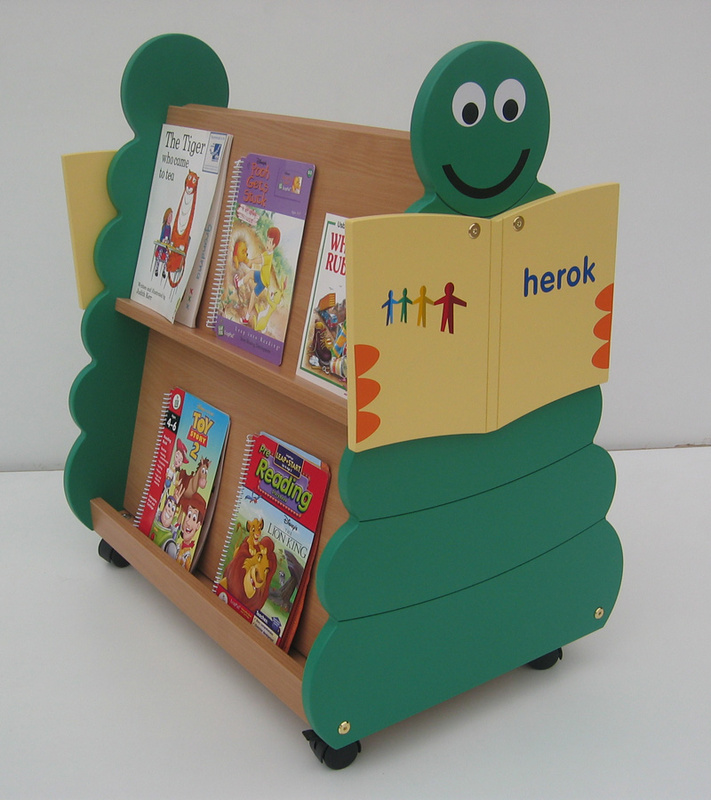 It has 2 book display shelves per side - each 272mm deep - ideal for displaying and storing picture books. Easy to manoeuvre this book browser comes with 4 castors, 2 of which have brakes for safety. This unit is delivered fully assembled. See our full range of library book browsers. For more information please Contact Us or call on 01733 511121.